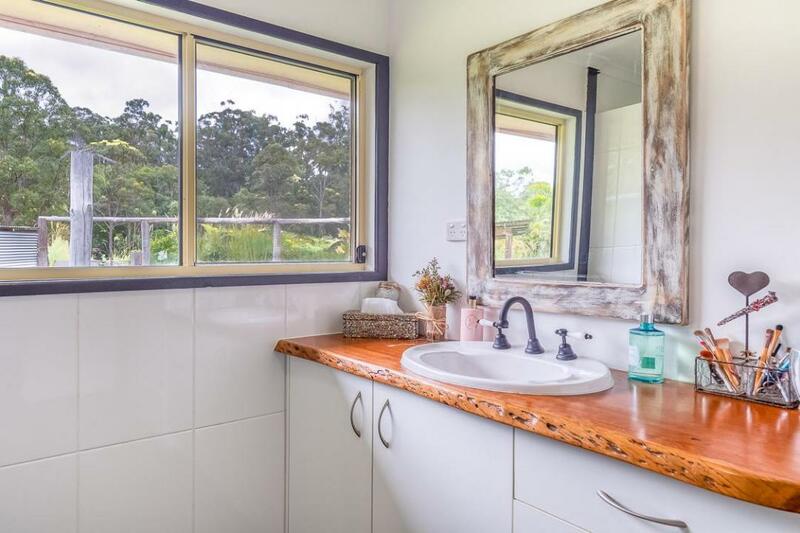 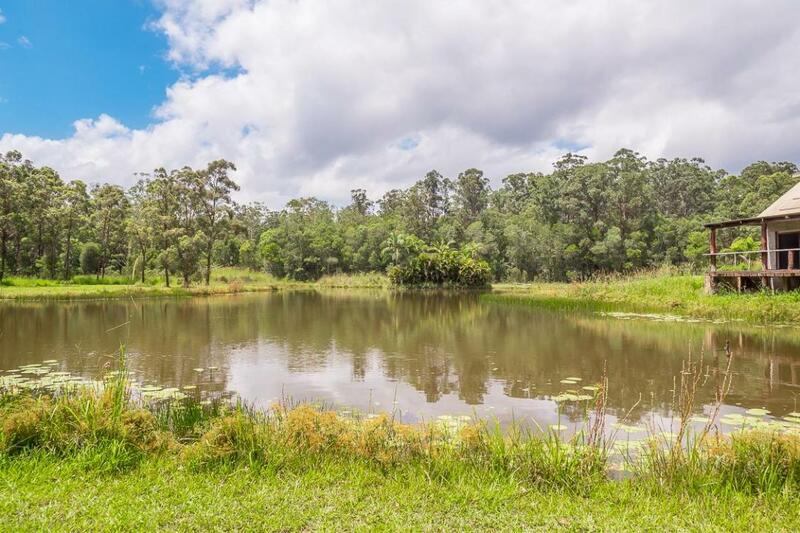 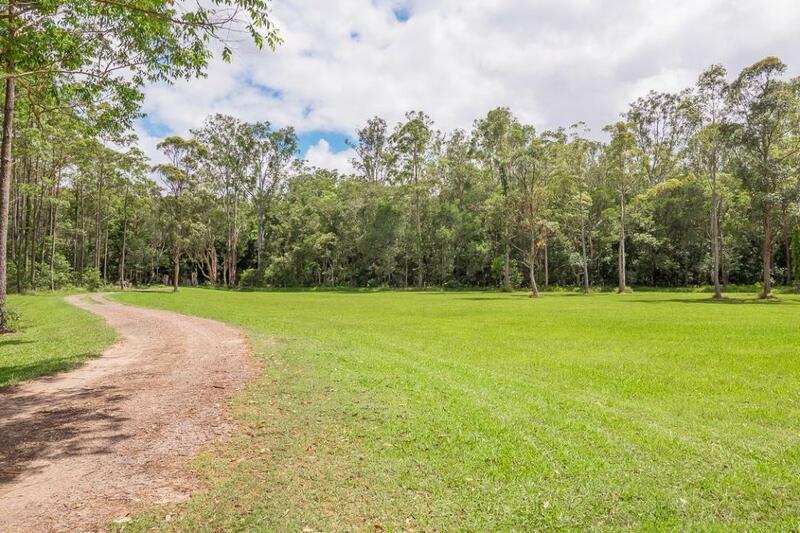 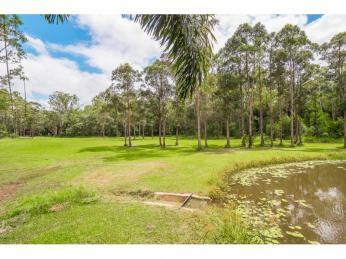 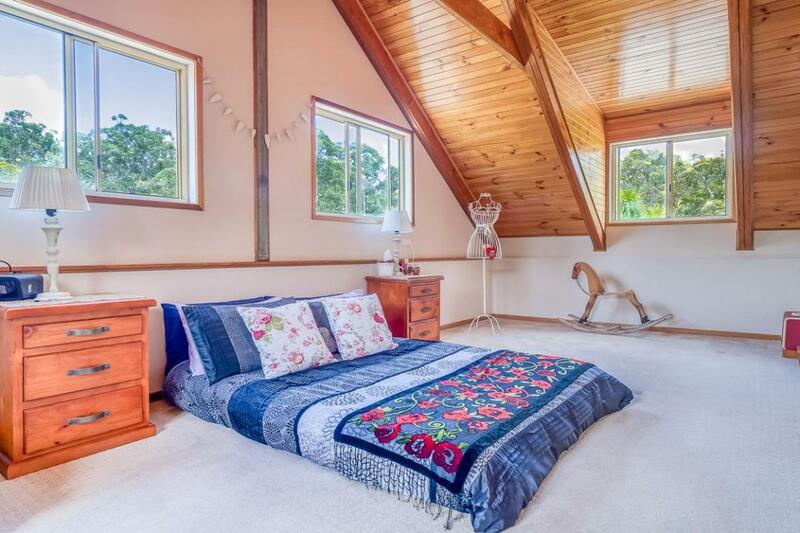 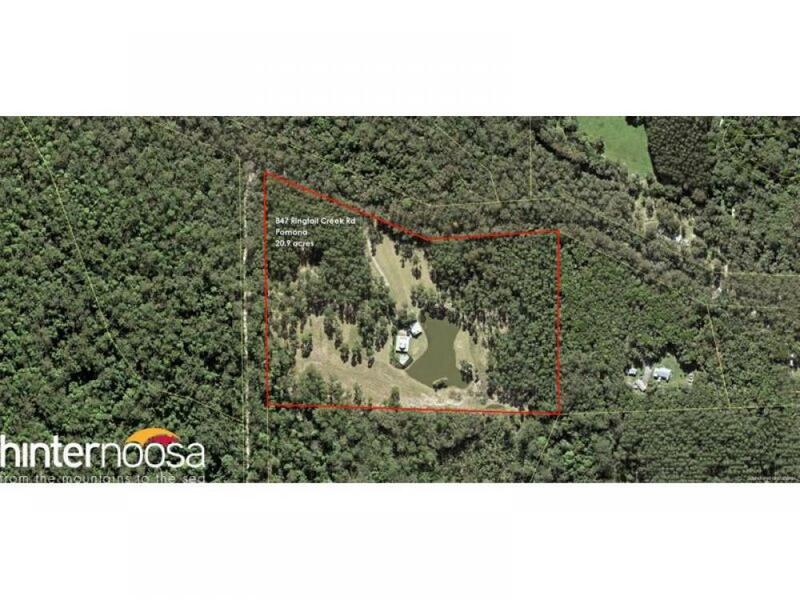 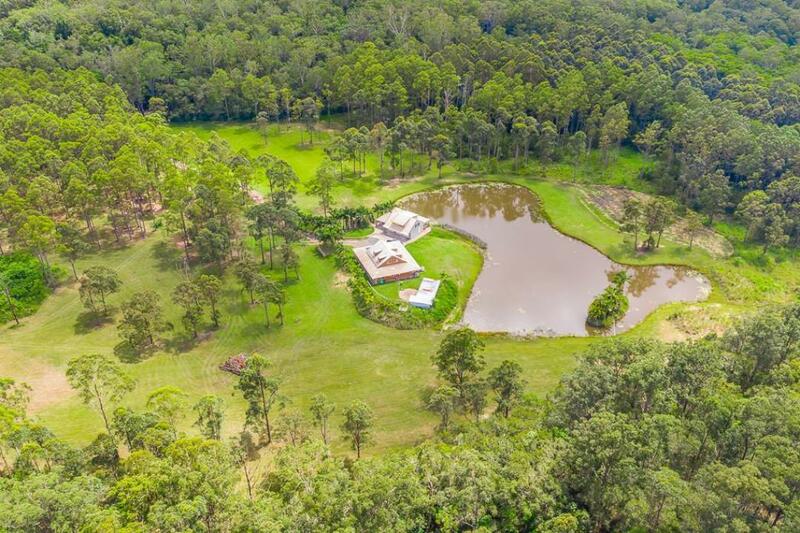 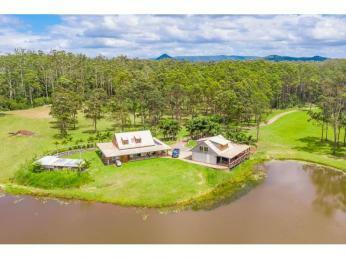 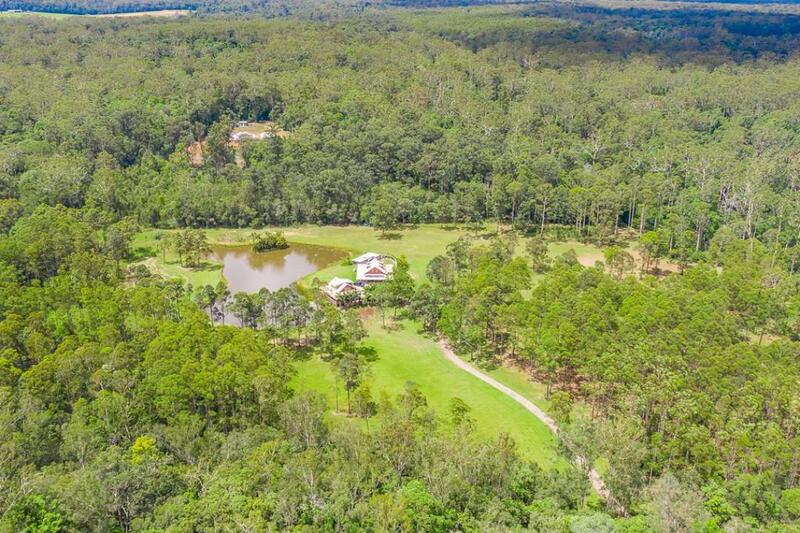 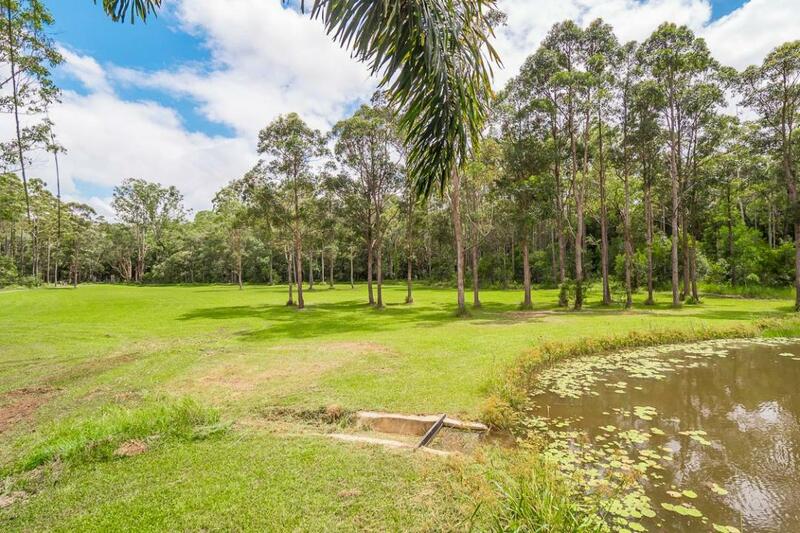 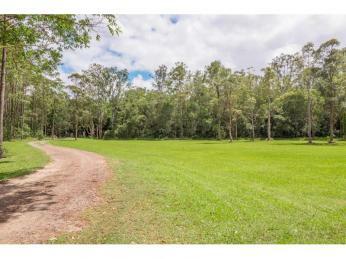 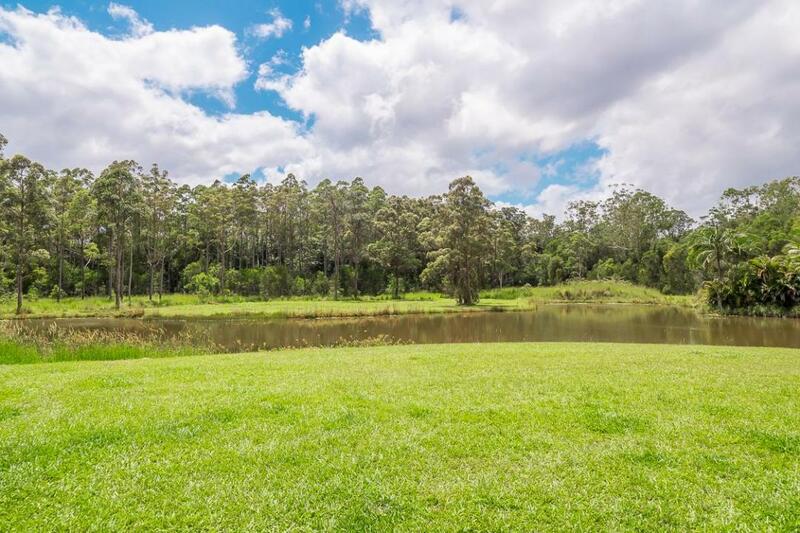 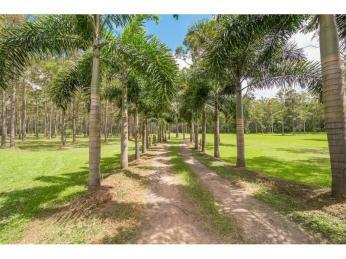 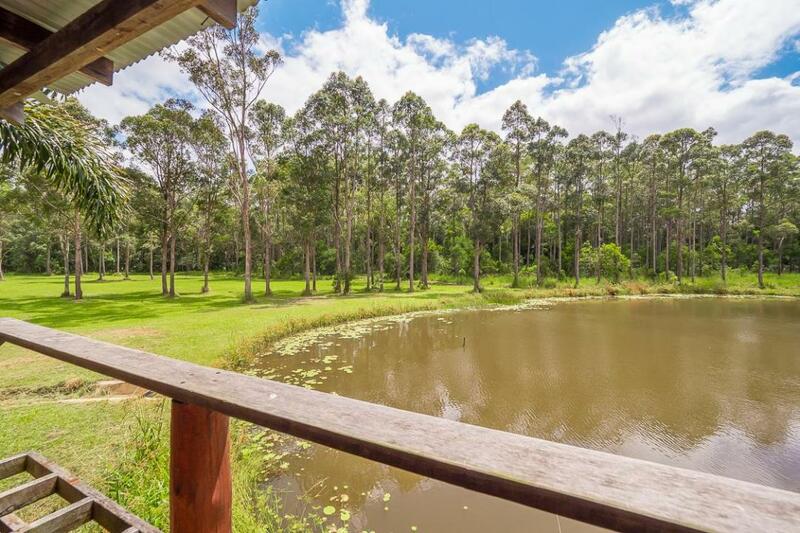 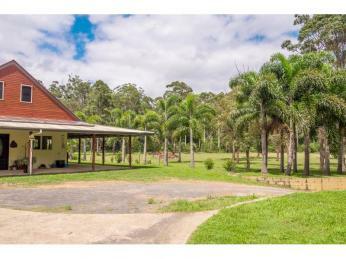 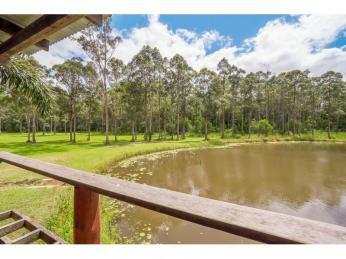 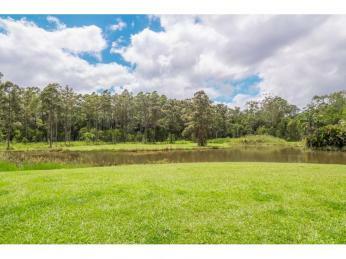 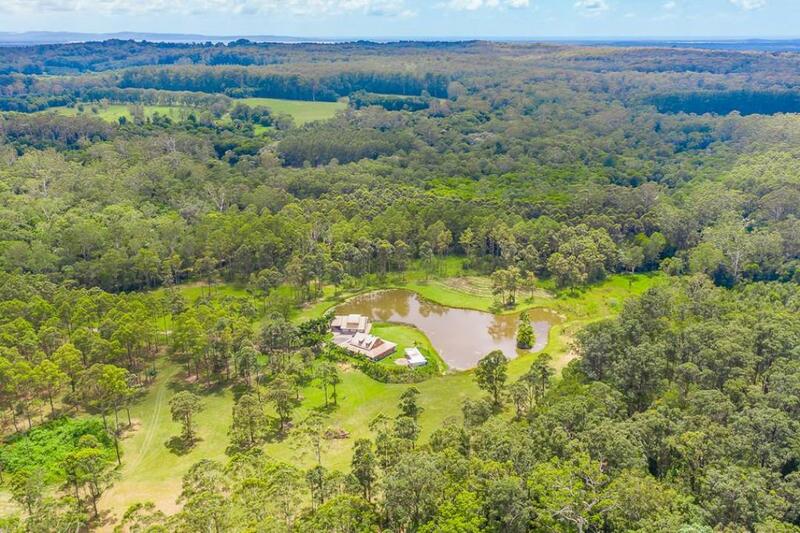 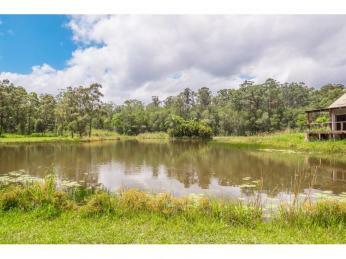 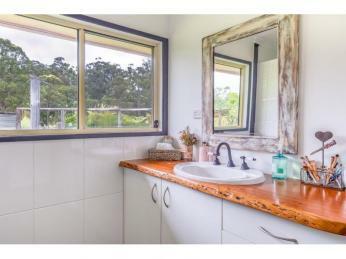 If you love a country atmosphere, this one is private and quiet and set on a picturesque 20 acres of park-like land just a short drive to the thriving Noosa Hinterland town of Pomona. 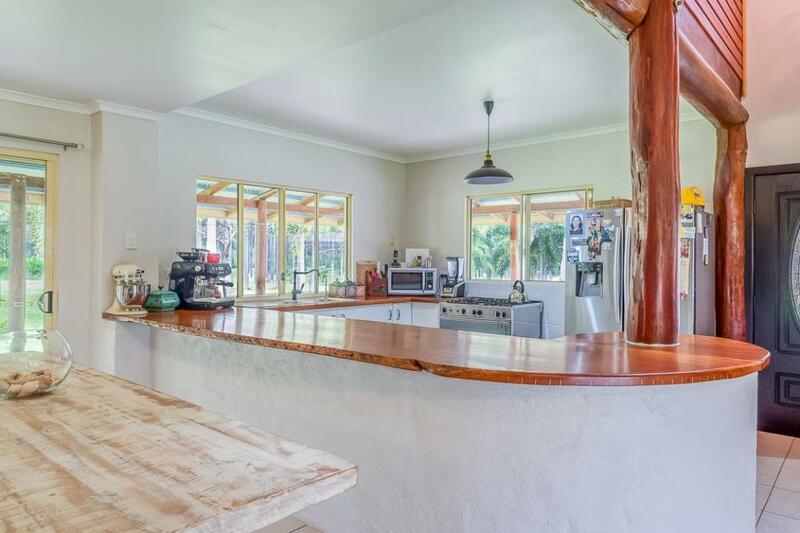 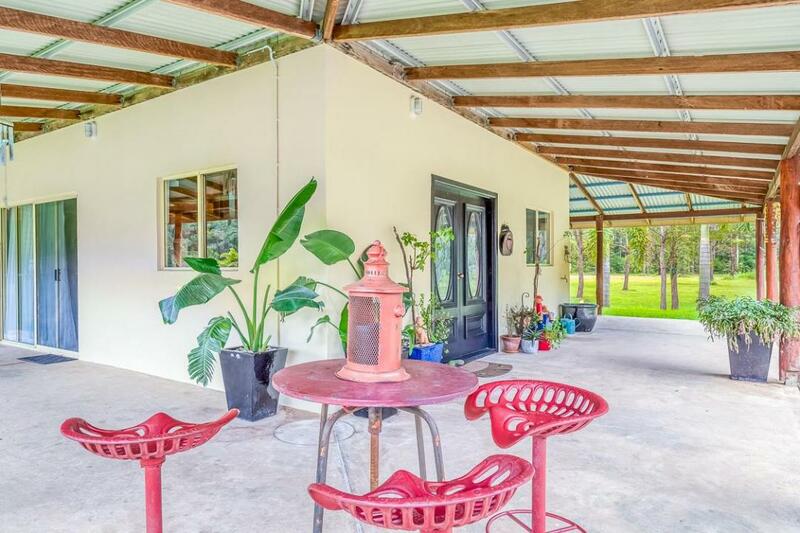 With approximately half of the land useable, the solid four bedroom home has plenty of character and is centrally positioned overlooking the impressive lake size dam. 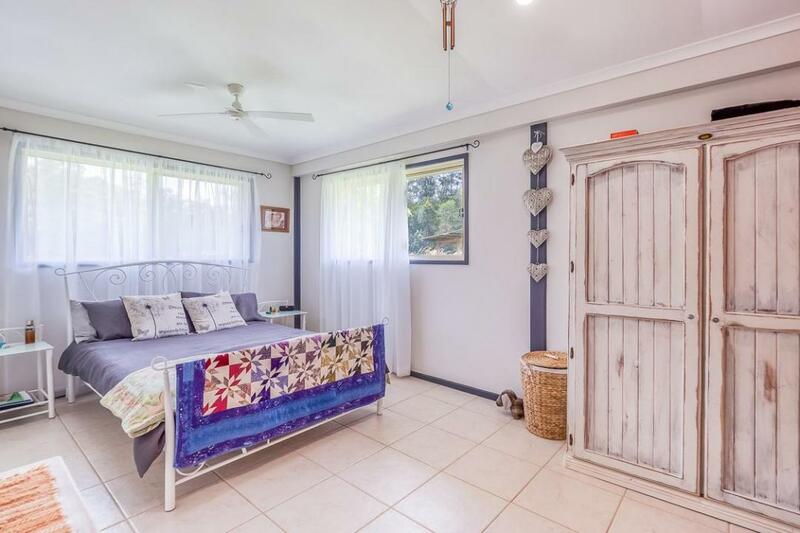 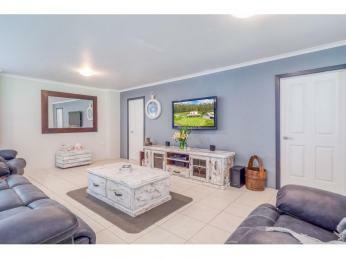 Wide verandahs and double door entry to the rendered block home finds the tiled open plan living area. 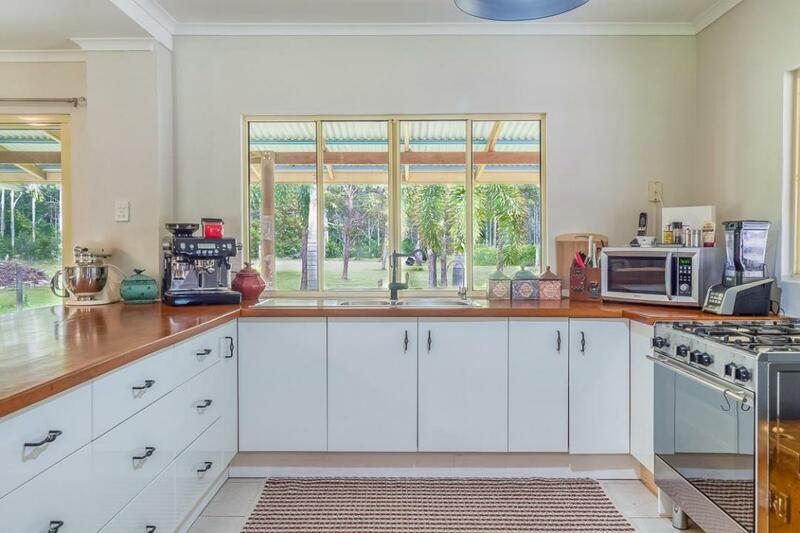 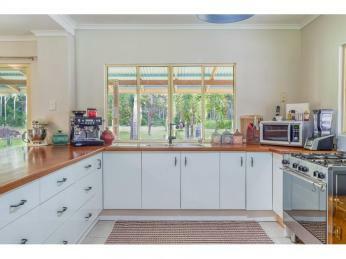 The country style kitchen is generous in size and features 900mm stainless steel cooker, timber bench tops and plenty of cupboards and drawers. 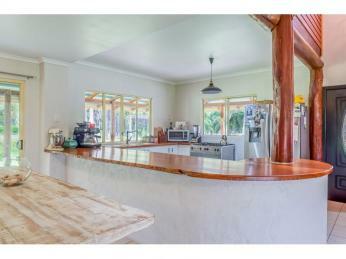 Recently painted the home is light and bright and has beautiful cooling cross flow breezes. 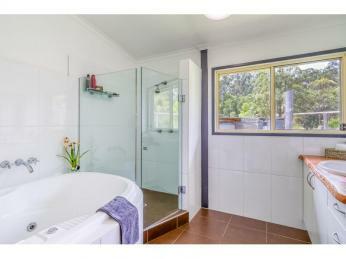 Also on this floor is one of the bedrooms and the bathroom that is modern yet quirky and boasts a deep spa bath. 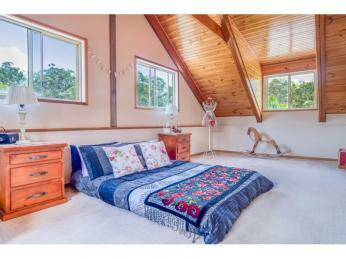 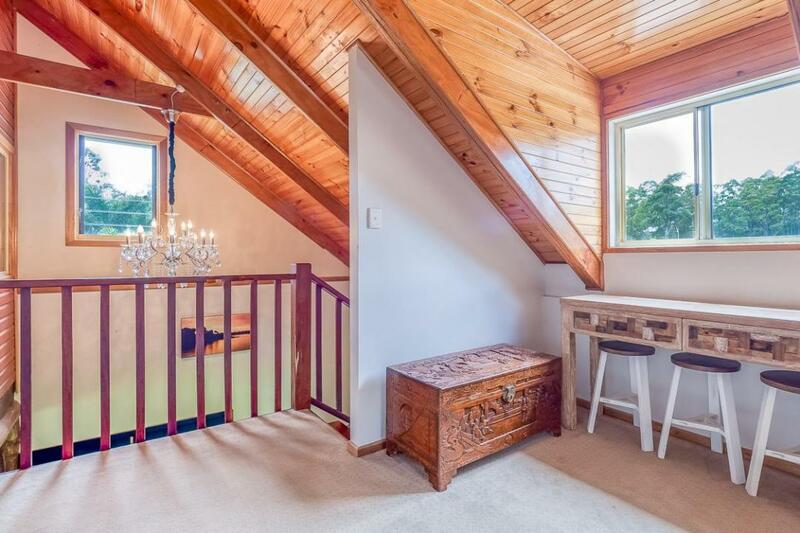 Upstairs houses three more bedrooms all with timber lined raked ceilings. 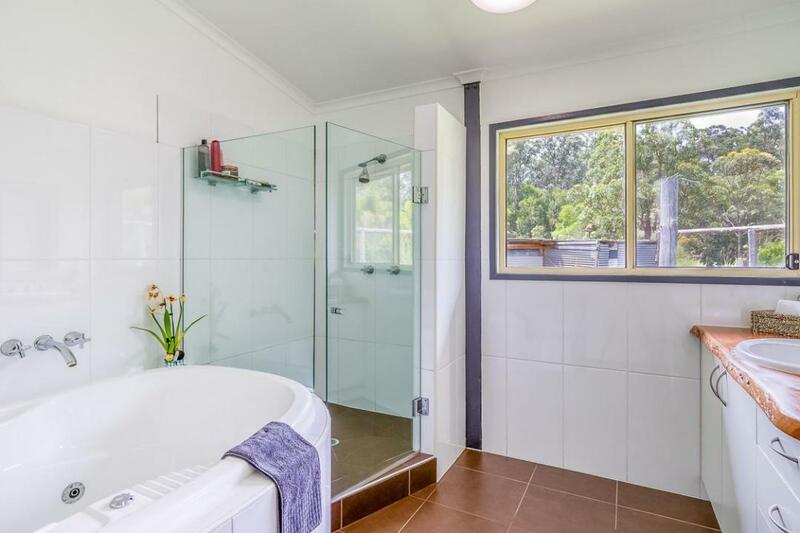 The original design of the home shows plans for an en-suite in the large main bedroom, which could be ideally added if another bathroom was required. 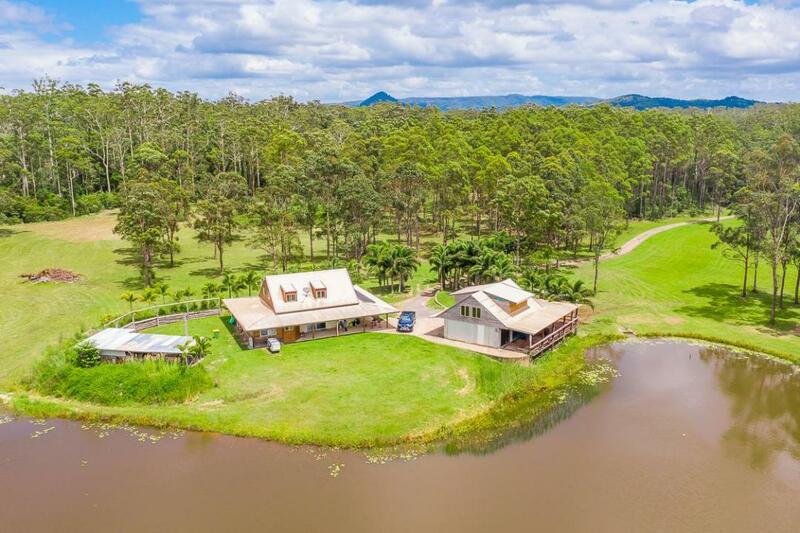 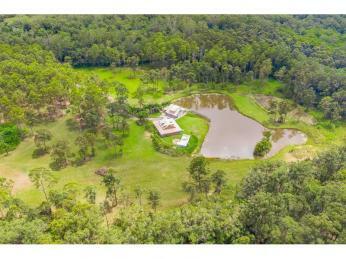 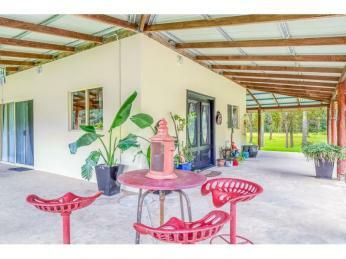 The property is off the grid and run entirely on solar power with batteries for storage and a large generator which is also included in the sale. 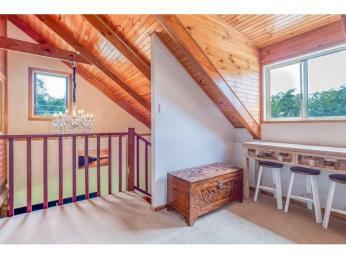 There's 3 bay car garage with a mezzanine level that really adds to the versatility of this property. 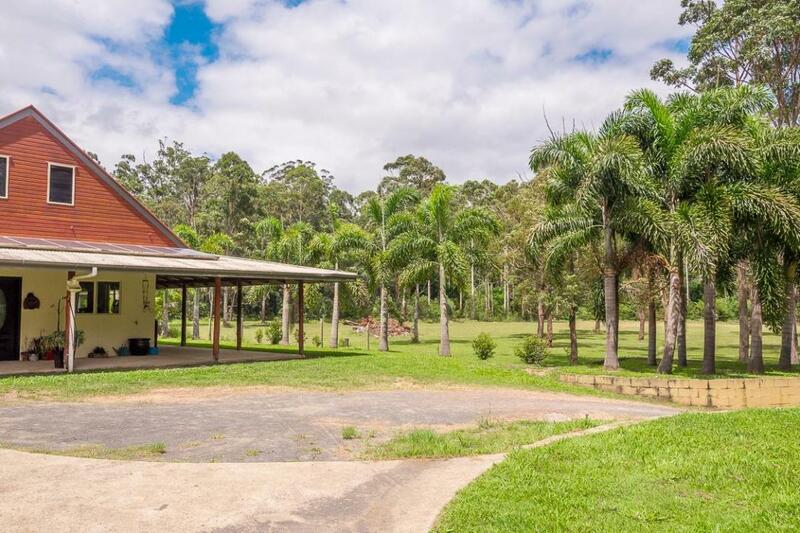 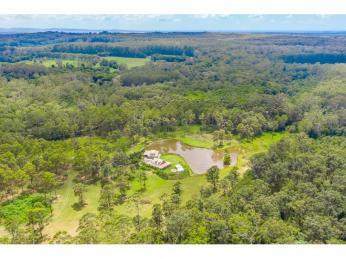 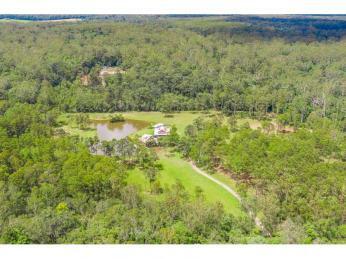 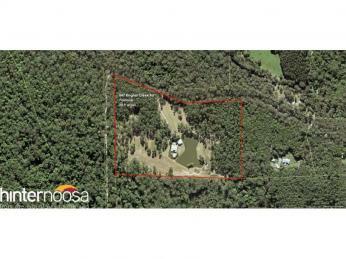 The land is fringed by lovely natural tall rainforest timbers with plenty of useable grassed paddocks that surround the welcoming home. 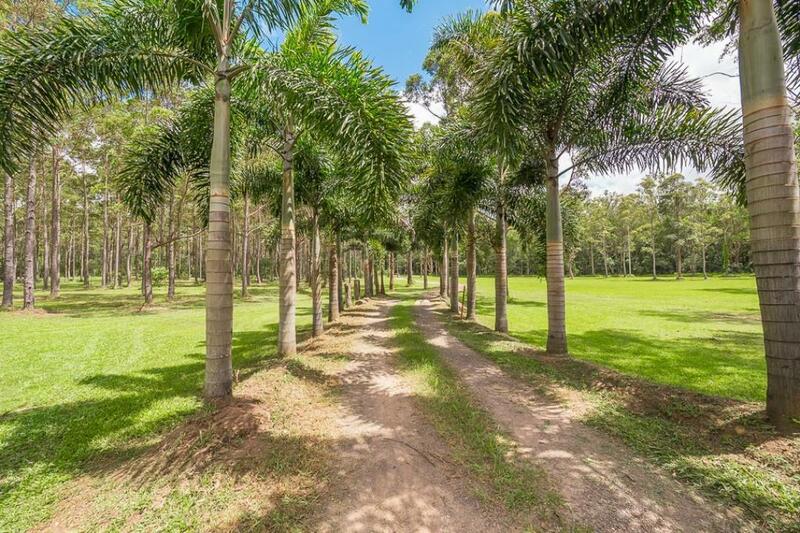 All walkable, the land is ideal for horses or perhaps for living a more sustainable lifestyle like growing your own fruit and veggies and having a hobby farm. 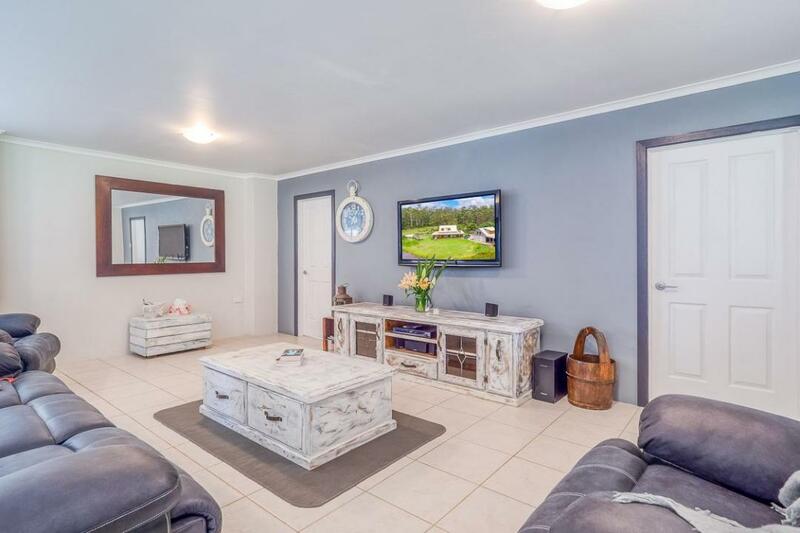 Situated midway between Pomona and all the fun lake activities at Boreen Point, it is under 30 minutes back to the coastal towns of Tewantin and Noosa too.